Now is the time to map out your fly control program. Horn flies normally begin showing up in spring when average daily temperatures reach 65º F for a period of two weeks. They remain a nuisance until cool weather in late fall or early winter. 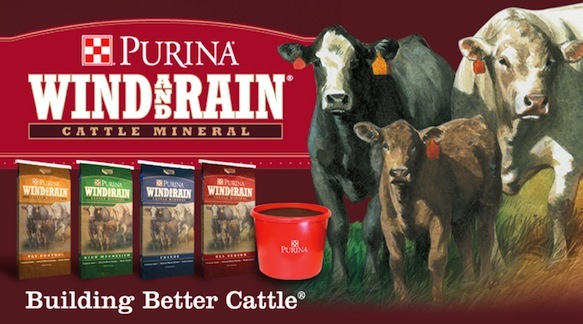 Use Purina’s Wind and Rain® Fly Control Minerals. They are designed to reduce fly populations. Flies cause significant discomfort for cattle. As part of an integrated fly control program, Purina’s Wind and Rain with Altosid (MTH), helps restore cattle comfort while reducing factors that cause poor performance, and decreased grazing time. Purina’s Wind & Rain Fly Control Minerals work best if they are fed in spring prior to the appearance of flies and continued until cold weather restricts fly activity in late fall. Stop by McGregor General Store for your Wind & Rain Fly Control Minerals today!